Name Thomas Atherton Powys, Lord Lilford. General 3rd Baron. Lord of the Bedchamber to King William IV. Lord in Waiting in House of Lords. Whig politician. Education Eton, Christ Church College, Oxford University: matriculated: 1821, Classics BA(2): 1824. Name Hon. Mary Elizabeth Fox. Death 7 December 1891, Marylebone district, London. Thomas Atherton Powys, 3rd Baron Lilford was a British peer and Whig politician. 1801 born in December. Lilford was the son of Thomas Powys, 2nd Baron Lilford, and Henrietta Maria Atherton. 1814-1817 educated at Eton College. 1821 May, matriculated at Christ Church College, Oxford University. 1824 gained Classics Bachelor of Arts Degree (Second Class) from Oxford University. 1825 father dies. He succeeds his father as second Baron, and inherits the Lilford Estate including the jacobean mansion of Lilford Hall. He also inherited the Atherton Estate at the same time. 1830 married the Hon. Mary Elizabeth Fox, daughter of Henry Vassall-Fox, 3rd Baron Holland and Lady Holland. [Henry Richard Vassall-Fox, 3rd Baron Holland (21 November 1773 – 22 October 1840) was an English politician and a major figure in Whig politics in the early 19th century. 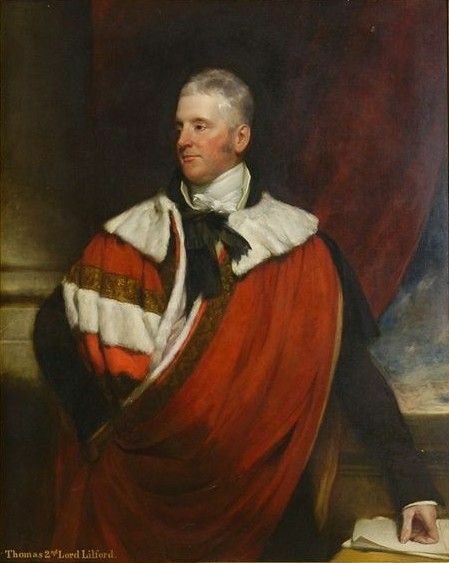 A grandson of Henry Fox, 1st Baron Holland, and nephew of Charles James Fox, he served as Lord Privy Seal between 1806 and 1807, and as Chancellor of the Duchy of Lancaster between 1830 and 1834 and again between 1835 until his death in 1840]. Eventually, Lady Mary Elizabeth Lilford (nee Fox) become the sole heiress of the Holland family in 1859. 1831-1835 and 1836-1837 Lilford was a Lord of the Bedchamber to King William the IV. A Lord of the Bedchamber was a courtier in the Royal Household of the King, and his duties consisted of assisting the King with his dressing, waiting on him when he ate in private, guarding access to him in his bedchamber and closet, and providing companionship. 1837-1841 appointed Lord-in-Waiting (government whip in the House of Lords) in the Whig administration of Lord Melbourne, a post he held until the government fell in August 1841. A Whip's task is to administer the whipping system that ensures that members of the party attend and vote as the party leadership desires. He never returned to office after 1841. 1860 Lilford inherited the Bank Estate including the jacobean mansion of Bank Hall in Bretherton, Lancashire upon the death of his brother-in-law George Anthony Legh Keck. 1861 dies aged 59 in March at Lilford Hall. A year after last inheritance, Lord Lilford was succeeded in the barony by his eldest son Thomas, who became a prominent ornithologist. Lady Lilford died in 1891. Lord Lilford thus inherited four large estates during his life, the Lilford Estate and the Atherton Estate in 1825 from his father, the Holland Estate in 1859 (via his wife), and the Bank Estate in 1860, to become one of the richest men in England. 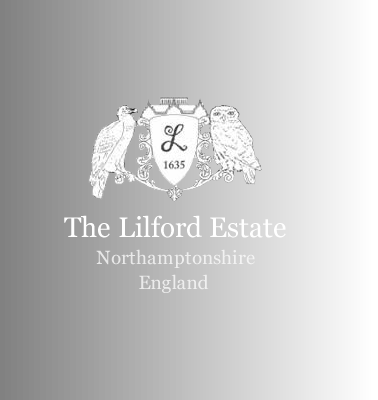 The Lilford Estate alone was 8000 acres in size, whilst the Bank Estate was 7500 acres. The arms grant appears in Foster’s “Grantees of Arms to the end of the 17th century” for his ancestor, Thomas Powys of Henley.